Some of you may have noticed that the FTW Blog rolls have been temporarily removed. The first of the year saw me start to clean them up and get them back up to speed. As the rolls have grown over the years, there have been a number of issues. Everything from overcoming Blogger's limits on maximum blogs listed in each roll to the size of thumbnails and how to break up long links that can't really be broken. I won't even get into the practice of getting them to scroll... but just vertically and not horizontally. I usually do some kind of work to them each week as I try not to let the regular updating get too far behind or it takes me forever to catch up. As it turns out, I've been trying to update them for the past two weeks and have been unable to do any work at all to them. Not because I couldn't find the time, but because something is wrong with them. I haven't been able to do anything like add new members, remove old sites, remove dead links and suspend inappropriate content as it pops up. As I realized the scope of the problem with the rolls, I decided to do some much needed work to them overall. Some of you may recall the poll I had the other week where I asked folks about where they though they should be located (their own page or as they are). That was part of the process... I was curious to see where folks thought they should be placed and if they needed to be given more space on the site. I started to go through them one at a time (all 750 plus members) looking for issues. I found everything from dead sites to invalid ones, suspended accounts, ones that would not load properly, ones that crashed the widget when I tried to resave it again... everything was in there. Even with the close eye I keep on them, stuff gets by over time. So what have I done now? Right now, I have all of the FTW members blog links in a database. The link list takes up 11 pages single spaced. I've spent most of today trying to find a way to get the dead sites removed and adding the almost dozen new members to the rolls. I still have not been able to do it. Because I'm unable to maintain them, I have temporarily removed them from the site. I know this will impact everyone who is currently listed and it's not a decision I take lightly. So what's going to happen to the rolls? I am looking at ways to get all of the blogs into one master roll. I've spent some time looking for feed aggregators that can handle that number of feeds and not crash from the sky in a ball of flame. Most I come across are designed for a few (less than 10) blogs. I've also come across a handful of methods that no longer work due to the problems with trying to do this kind of thing apparently. Seems as though they started out working, but ending up not doing so well. I'd like to see if I can find a system that can handle the load and is reliable. So what can you do to keep your readership and traffic up? I know some folks get their traffic from the rolls or at least they tell me they do. There are a few things you can do to bring traffic to your site. 2. Post on a consistent schedule. 3. Write good headlines that describe your posts accurately. Those three are the big ones. Pictures are nice, but those three are the top ones in my book. There are a few more things I am going to do as well. If you're interested, let me know by email. I'm looking for original content that has not been posted elsewhere and covers the modeling and painting aspect of the hobby. If you'e interested and want to talk more about Guest posting and some of the aspects about it, please email me and I'll be happy to share my experiences. I'll be continuing this series as I find all kinds of things in my internet travels that I like to share. This series will continue to spotlight individual blogger's work. If you link to FTW in one of your own blog posts (like some folks do when duplicating tutorials), let me know about it. Either leave a comment or email me directly and I'll see about getting a link to your blog post added back into my original post. If you're a commission artist and you want your site to have a link in the Reviews and Resources page, send me an email. I'll need your link and the name you want your site listed under. I know there are a few bloggers out there that used their spot in the rolls as a way of showcasing their work. Stay tuned folks, I'm working on getting the three blog rolls on track. I do not know when I will be putting the rolls back up though. I am going to continue to look for a way to inlcude all the blogs in one roll that is reliable and allows me the ability to manipulate it as needed in order to keep it current. UPDATE: I am working on collecting every blog into my Google Reader. This will allow me to do two things. 1. Keep track of everyone. 2. Export the list into other potential programs for feeding. If you've got any questions about something in this post, shoot me a comment and I'll be glad to answer. Make sure to share any thoughts, suggestions or possible solutions you may have in the comments below! Looks like you have a lot of work ahead of you on this one...have fun! Haha. The blog rolls is half the reason I come to your site everyday (other half is of course your posts). I understand that it's becoming a lot of work for you to keep the blog rolls clean but removing them altogether is a bit drastic (IMHO). I really hope you find a fix quick. That being said, keep up the good work. Damn the Valley: Wait a minute, you guys are supposed to be sympathetic to my plight. Dom: The biggest reason for them being removed (as drastic as it may seem) is that I am unable to modify, correct or work on them them at all at this point. That poses a number of issues for me if I am not able to manipulate the widget as required. I told you WordPress was a better platform, especially self hosted, but then this site will have to earn money or you will have to pay for bandwidth. This shouldn't be unsolvable but the webs best blogs ain't on Blogger for a reason. The traffic is nice and I always use them to find new blogs to follow, though I understand how they are a bit difficult to manage, clearly. Thanks for the efforts so far and hopefully a solution isn't too difficult. Big big thank you for your efforts Ron. I can appreciate the difficult decision it was to remove the blogrolls but better same than sorry and all that. This is going to be a task of herculean proportions. Perhaps you could seek assistance from Google itself? I've had some dealings with Lisa Ding, the Community Manager for Blogger, and she's very helpful once you point her as an issue. Also, I really should think about the way I comment on blogs of people who maintain presence on Google+. Until I do that, it seems that I'll be causing deja vu. Hope you can find a solution, the blog rolls kept me coming back each and everyday (usually even several times per day). At the same time I'm already following a ton of individual blogs, so the Blogspot dashboard will help keep me posted on most of them. FTW does really help to stay up-to-date with new posts and blogs though. I can certainly imagine though that trying to make something work on a scale it wasn't designed for is a huge challenge! 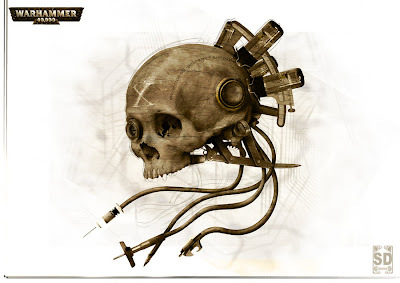 Why not ask BOLS what they use. They too have a large blogroll and must keep it up in some way. Been away too long. At least now I can comment on things again - yippee! I'm listed (or at least I was at one point), but I always felt like I benefited more from being able to browse other blogs on here than from any amount of traffic I received. Here's hoping you get my reading list back up and running soon! You've done a great job here, Ron... keep up the good work! Aw man, i loved the blogrolls! i hope you get them all up soon. surely somebody knows how to get it sorted? it will be interesting to see how you get on! I hope Marcin's right in saying it's merely a Herculean task. I should hate for it to be Sisyphean! Good luck, old boy! I also loved Blogrolls. I hope you manage to find a way to keep them on. Programing Code issues suuuuck. My heart goes out to you, hope you get it sorted out soon. I miss the blog rolls too. How will I know what is happening in the community? Hahaha. I hope you find a manageable solution to sort it out. I definitely appreciate the traffic from FTW and the quality content and community that is shared. I appreciate the support folks. I'm looking for alternatives right now. One of the biggest hurdles is finding a system that will accommodate all the members n one roll. Muskie: I'm not sure I could afford to host it someplace that charges bandwidth. With 750 plus members and thousands of hits a day... I have no idea of the cost of something like that. Admiral: Glad to see you're back. Hopefully your painting shed will get a new lease on life too! Marsekay: I have a method and criteria for removing "old" blogs and such. It's just that Blogger has limitations and they do not always work correctly. It's time I think to move to something bigger and more geared towards this kind/size of thing. Mr.Esty: I do it just for you. oni: Feedburner doesn't blend multiple feeds into one unfortunately. All in all, I am trying to get all the blog links into my Google Reader and updated. I have just under 1300 to go through. Once I have that sorted, I should be able to export the list to a potential program that can combine them. The hurdle then becomes what can crunch around 750 feeds into one? Surely a techno wiz can build you a ciston gadet/widget type of thing for this? its just a list of links with a scroll bar right? What gadget/widget thing were you using previously? Is it an awesome amount of people on the Blog Roll. Is it worth Setting up several Blog Rolls, one for each Game System / Company and asking people to pick which one they post the most of? To be honest it probably wont help as most peopole will pick the 40k one, but it was just an idea to try and reduce the number for one blogroll. yikes! i didn't realise this was such a headache for you! i've learned a lot from just browsing the rolls (and had some great feedback from being on them myself), so i hope you can find a way to keep them going. I really did appreciate you sticking me on that roll! It helped me find some of the blogs I read regularly as well. Anyway you do it, I will follow along with it! Even as its own page, I would still head over to it and check it out. Yup, as others said, thanks for the time on the Blog Roll. I couldn't even begin to understand what a headache it must be to try to maintain such a massive database of websites, especially when it won't properly add or delete the links you put up. Hopefully time will reveal a system that works for you and the Blog Rolls are able to make a return. Either way, still love the site! eek why not get a custom widget or something? Wow, it's been a few days now and I'm really beginning to feel separated from those hobby blogs/FTW community. Find myself going to B&C, and Dakka now to try and fill the void. Hope the blog rolls come back. I just have to say thank you! You do such a great job with your articles and the blogrolls! Hope you find a way to get them back but make sure to take your time and have fun with the hobby! Marsekay: It was the standard Blogger blog roll widget. Kraggi: It's a good idea, but most people don't want to be set in one or the other for fear of placement on a page or they switch around and change the focus of their blog and then need to be moved to a new roll... it can create a tremendous amount of additional upkeep. Matt Farr: It's worth doing, I just want to do it well. Fayte and Krisken: thanks for the support guys! Fuzzbuket: Custom widget might work if it can handle the number of feeds. That's abig sticking point that I've found with other methods. Mr.Esty: I'm interested in knowing who would use the list if it were an OPML file that you could load into your rss reader and have the whole list to look over. Jan3r: There in lies the challenge... have fun with the hobby. It's a balance. The work is not bad as long as it's doing what I need it to do for the site in the end. I always figured this would be a big job, but i didn't realize how massive it was. Vomkrieg: I know lots of folks got readership from the rolls, that's why I am am working to get them sorted and back running in a way that will allow me to continue to operate them and expand as the community grows. I thought I'd come close to solving it the other night, but found out the service I was looking at implementing maxed out at 500 feeds. Thanks for your effort in solving the blog roll issue, I appreciate the time you put into it as its mostly for our benefit. I know that its responsible for much of my traffic and will go with whatever you decide to do. Don't get me wrong Ron, I think your a community champion. It's just sometimes we, as a community of modellers and gamers, forget how much effort stuff like this takes. I think everyone who has a blog on the rolls, and many other readers feel endebted to you for your efforts. Vitor: Thanks for the support. Vomkrieg: I don't know about that whole community champion thing. Sure it's (the rolls) a good bit of effort, but I think the end result is worth it. The hunt continues for something to pull them all together and make them presentable in a reliable way. Muskie: I apologize. I appreciate the kind words about the FTW rolls. I do not know how TGN did/does their roll. If he has experience using things like PHP (Drupal & WordPress), he is light years ahead of me in that kind of thing. I don't have the experience or the time to invest in learning those elements. As a user, I need the finished product that I can plug links into. The FTW blog rolls were done using Blogger's simple blogroll widget. Unfortunately, that widget has issues that I am not willing to look past at this point. I have been able to put the blog roll through Feedburner, but that too has some considerable lmitations... like no thumbnails, only listing the top twenty blog posts at any one time. I know I've spoken a few people about this, but until I can find something that will properly display posts from all members meeting the criteria, I won't be putting it back up. I believe everyone needs to get the same treatment in the roll and not just those who post every day in order to stay at the top of a limited list. While it may seem as simple as "just put the list up" or switch over to this or that platform, it is not that simple. I appreciate everyone's understanding in this as I work through a solution that meets the needs I have for the Group. What do you need the blog roll to do for you? What Criteria do you want it to meet and follow. If you are willing to post something like this here or on From the Warp then I am sure that someone out here will be able to give you some ideas that are manageable and for you. Another thought would be to list the people currently on the roll on an additional page on the site, wont show their latest posts, but will show everyone who has registered so they have some visibility. 1. Reliably update and show the latest post (in summary form) from every member in the roll. 2. Do that in a timely manner without delay. 3. Include a thumbnail image where applicable in those post summaries. 4. Have a scrolling feature (of some sort) to the widget so the most recent post from each member may be looked at and not just the latest 20 depending on who just updated their blog. 5. Be able to handle approx 1000 blogs. If anyone knows how to do this, I'd love to hear from them. I'm looking for solutions though, I've gone through lots of "suggestions" and find that they are unable to meet the criteria immediately. The idea of a single, long link list is not an option as a 1000 plus link list becomes unwieldy at that size.